On June 26, 2018, the Natural Resources Defense Council (NRDC) and a New Jersey based teachers’ caucus joined forces to file a lawsuit in federal district court alleging, among other things, that the City of Newark’s water system contains dangerous elevated levels of lead that’s putting the health of residents in the community at risk. As many of our readers are aware, NRDC is the nonprofit organization that brought a citizen suit (along with the ACLU) under the SDWA against the City of Flint, MI and other defendants for elevated lead levels in Flint’s drinking water. The resultant debacle in Flint captured the nation’s attention and catapulted the importance of having safe drinking water to the front headlines — not to mention a massive settlement of close to $100 million between NRDC and the City of Flint just last year to replace Flint’s lead service lines. NRDC’s most recent complaint – filed last week – is now directed against the City of Newark. The complaint alleges, on the basis of 2017 data, that approximately 18 percent of water samples show lead levels readings above 15 parts per billion. 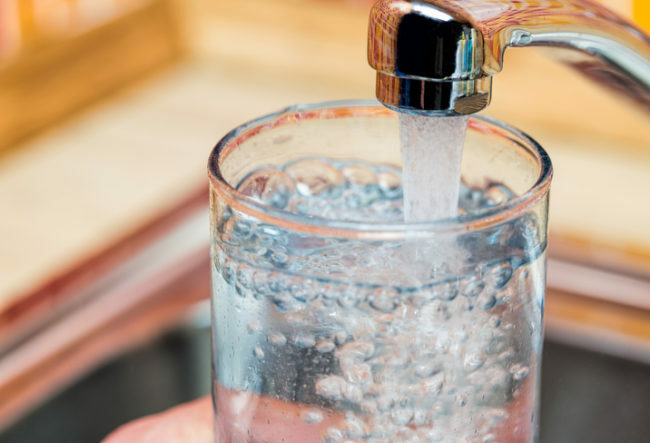 Under the Safe Drinking Water Act’s Lead and Copper Rule, cities are required to take action if 10 percent of its samples contain a lead level that exceeds 15 parts per billion. The complaint further alleges that the city failed to take appropriate measures to inspect its water system and raises the question whether corrosion controls are being properly utilized by the city to prevent lead from leaching into drinking water. The City of Newark released a statement that not only refutes the allegations, but assures the public that its water is safe. In the statement, Andrea Adebowale, the city’s director of Water and Sewer Utilities, said elevated lead levels in schools and homes were caused by pipes and privately owned service lines in those locations — not by Newark’s water mains and water system. The NRDC, however, specifically alleges that Newark has not complied with the SDWA due to: (1) the alleged lack of appropriate corrosion control treatment [in its water mains]; (2) faulty monitoring by engaging in selective sampling; and (3) insufficient public education. NRDC also seeks documents and information from the city regarding these issues that it wasn’t able to obtain in a prior Freedom of Information request submitted to the city. This lawsuit represents the power and leverage that well organized environmental activists and groups can wield through citizen suits and emphasizes the continued focus on the safety of our nation’s drinking water supply. We’ll be following this matter closely and keep you posted as it develops.